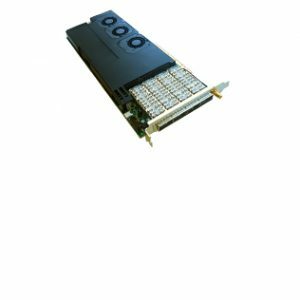 Silicom’s Xilinx® FPGA SDAccel 10/25/40/100 Gigabit compatible server adapter is based on a high performance Xiliinx® FPGA Ultrascale Plus. The Silicom’s FPGA SDAccel adapter has the same ‘out of box’ experience as the Xilinx® VCU1525 development kit, currently used for VU9P based SDAccel based solutions. This will enable all customer designs, SDAccel platform source files and examples to be seamlessly migrated to this card. The SDAccel™ development environment for OpenCL™, C, and C++, enables up to 25X better performance/watt for data center application acceleration leveraging FPGAs. SDAccel, member of the SDx™ family, combines the industry’s first architecturally optimizing compiler supporting any combination of OpenCL, C, and C++ kernels, along with libraries, development boards and the first complete CPU/GPU like development and run-time experience for FPGAs. SDAccel™ is a development environment for OpenCL™ applications targeting Xilinx® FPGA-based accelerator cards. This environment enables concurrent programming of the in-system processor and the FPGA fabric without the need for RTL design experience. The application is captured as a host program written in C/C++ and a set of computation kernels expressed in C, C++, or the OpenCL C language. – Passive heat sink, targeted to dual slot. Regulation: Card shall meet CE, FCC Class B, ROHS requirements.